How to launch Developer options on SAMSUNG? 1. 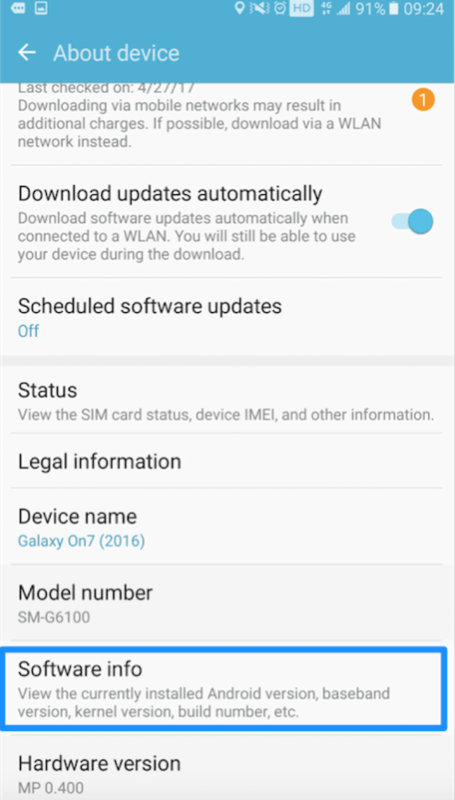 How to turn on Developer options and USB debugging option on SAMSUNG? 2. How to turn on USB debugging option (Android 5.0 and above) on SAMSUNG?3. 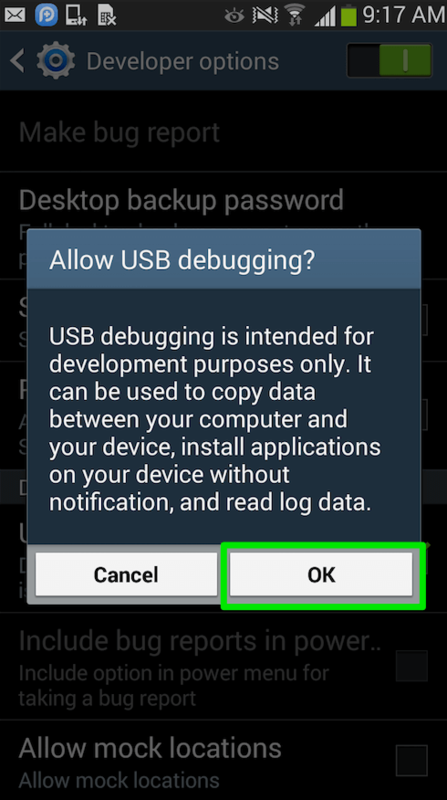 How to turn on USB debugging option (Android 4.0) on SAMSUNG? Part 1. 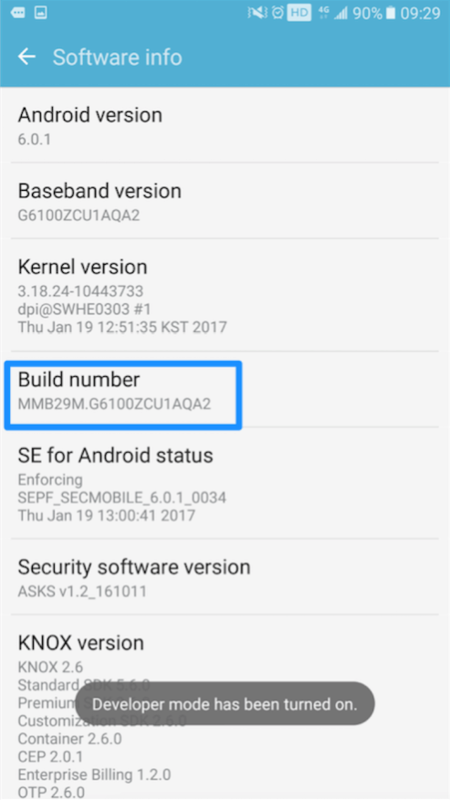 How to turn on Developer options and USB debugging option on SAMSUNG? 1. 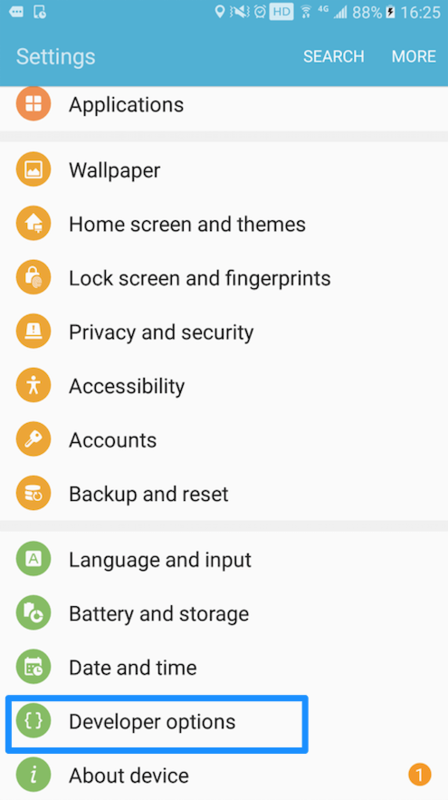 Open SAMSUNG > Go Settings > Click “About device” option > Click “Software info” option. 2. Click “Build number” several times, you will get the message “Developer mode has been turned on” on the interface of mobile. Then, you will see the “Developer options” after returning Settings. Part 2. 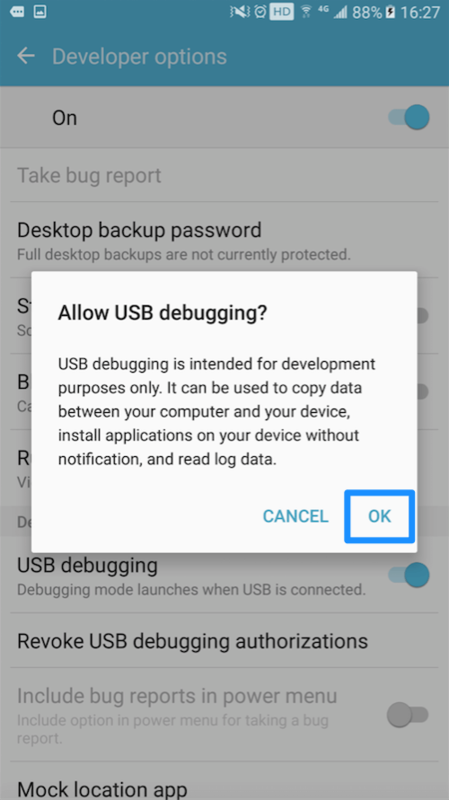 How to turn on USB debugging option (Android 5.0 and above) on SAMSUNG? To transfer data between computer and device, you need to turn on USB debugging option. Please refer to the following instructions to turn on USB debugging option on SAMSUNG. 1. Open SAMSUNG > Go Settings > Click Developer options. 2. You will get the messages below on the interface of mobile when you choose to turn on USB debugging option. Then please click “OK” to allow USB debugging. Part 3. 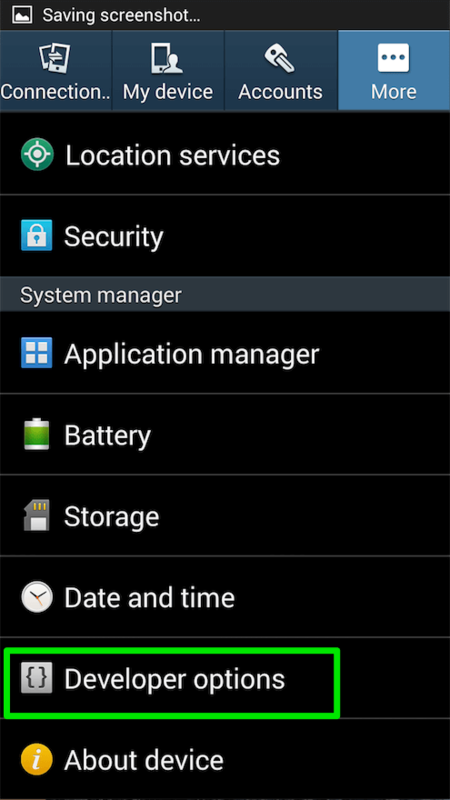 How to turn on USB debugging option (Android 4.0) on SAMSUNG? If you want to transfer data between device and computer, you need to turn on USB debugging option. Please refer to the detailed instructions below to turn on USB debugging option (Android 4.0) on SAMSUNG. 2. The messages below on the interface of mobile will pop up when you click to turn on USB debugging button. Then please click “OK” to allow USB debugging.